​SIGN UP FOR THE CLASSES BELOW! MARCH 16th Saturday from 10 - 2 PM 4 hour Pet First Aid & CPR Tailored Class! This is the class everyone has been asking for. Certification of Completion, CPR, Choking, Emergency Preparedness and HOW TO USE THAT FIRST AID KIT!!! We call it Tailored because the level of knowledge that everyone has differs and instead of giving you the book, we tailor our years of experience to your needs! This class is for those who are serious about knowing more about how to help their pets and others! How to cope with emergency situations. Getting to know your pets vitals! Pulse, Respiration, Temperature, Capillary Refill Time and Hydration. Training techniques that can save your pets lives. ​Learn how to handle a choking pet. ​Learn how to perform CPR on dogs & cats. ​Ask and Answer! Addressing your specific concerns. Must be 18 years of age. For classes and information under 18 please contact us. ​to better assist your pets in time of distress. Our sign up and for a private class! 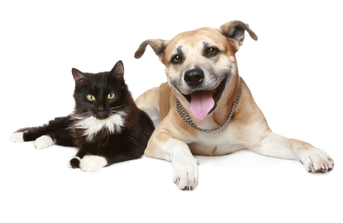 !Private classes allow you the extra time to fully understand your pet first aid and CPR course. We know it's a lot of information and with one on one time with your instructor you can learn to adapt the the knowledge and techniques taught , to your life style and specific pets. Private classes are paid for in advance and then we will call you and set up a time, date and place! $210.00 - $300.00 tailored to your needs in addition to our curriculum.